As all children, and now many adults, through the years will know this is the famous phrase that is synonymous with the BBC’s children’s programme "Blue Peter", the national television institution that amazingly celebrates its 50th birthday today. Over the years its compelling formula of presenting the ordinary, the unexpected, the adventurous and the extraordinary has enthralled children for five decades. You only have to mention the programme and everyone will instantly recall the names of the three presenters that occupied the sofa whilst they were growing up. Its success is its ability to keep reinventing itself with new presenters as one generation of kids who ‘loved it’ start to think it ‘naff’ there follows the next generation who immediately fall for its unique formula. Its ability to bring home and worldwide issues to a young audience with clear sensitive facts that is at the heart of the programme. I feel myself fortunate that my own childhood coincided with the trio of presenters that are referred to as ‘The Dream Team’ namely Valerie Singleton, Peter Purves and the inimitable John Noakes. When Val announced that the following week we were to commence the construction of a moon rocket my excitement was immense. I recall collecting dozens of milk bottle tops in various colours that were to adorn its tall fuselage, well basically a ‘Fairy Liquid’ washing up bottle which at the time was sitting enticingly beside the kitchen sink. Every night I would check its level, ready for ‘take-off’ but it seemed to be taking an eternity for my Mum to use all its contents so her precious little helper decided to lend a hand. When she realised that I was pouring it straight down the plughole she was none too pleased but I did get my rocket completed on time. 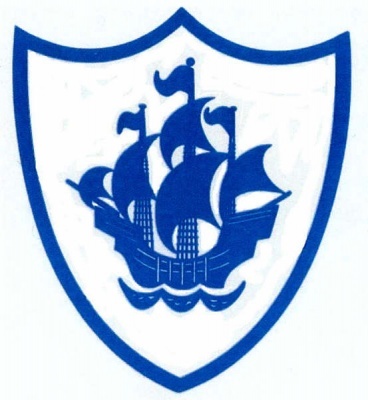 All ‘Blue Peter’ creations were held together by the infamous ‘Sticky Backed Plastic’ as the presenters were banned from advertising brands such as ‘Sellotape’. Noakes inadvertently used the ‘unspeakable’ and almost faced the sack. It was always so annoying, as a kid that as you struggled to stick together your version of ‘Tracy Island’ the presenters would nonchalantly reach below the table and announce “Here’s one I made earlier”. Former presenter Anthea Turner recently admitted that she still has her original ‘Tracy Island’ safe at home fifteen years on! The stars of the shows were often the pets. Mixing Cats, Dogs, Rabbits and Hamsters will always lead to classic television. The kids would have been distraught had they known that the first dog ‘Petra’ had died after just one episode and replaced by his ‘doggy-double’. During my time the star was ‘Shep’ a beautiful Border Collie and when Noakes uttered the classic line of “Get down Shep” immortality beckoned. When the young vibrant Peter Purves joined in 1967 I felt a bit sorry for John as it looked as if he would be put out to grass, but it turned out that Noakes was made of sterner stuff as he relegated Purves to cooking and dressing dolls as he scaled Nelson’s Column, French-kissed alligators and held the record for the highest freefall parachute jump by a civilian. Nothing was ever too tough or daring for Noakes, but the whole nation sobbed with him as he announced the death of our beloved ‘Shep’. It wasn’t unusual in the early days to have lions and tigers on the show until Health and Safety managed to get their ‘claws’ in! As all the shows were sent out ‘live’ without any help from auto-cues disaster was always only a heartbeat away. When Lulu the baby elephant dumped her calling card on the studio floor the whole nation roared especially as Noakes tripped over the huge pile of elephant poo with Lulu treading on Noakes’s foot for good measure. Valerie Singleton was also on hand when a Girl Guide’s camp fire got out of hand with black smoke bellowing through the studio and Brown Owl coughing her lungs up. It was also ground-breaking television when Singleton accompanied Princess Anne on a trip to Kenya showing a new side to the Royal Family and bringing the plight of starving children to the world stage long before Bob Geldof. Longest serving presenter Konnie Huq also had some embarrassing experiences in the best Blue Peter traditions as a bat disappeared down the front of her jumper and was heard making weird squeaky noises! She also had to deal with a 24-foot anaconda snake slithering menacingly across the studio floor dispatching huge toxic smelling snake poo that apparently looked like scrambled eggs! It is said that ‘imitation is the sincerest form of flattery’ and when ITV launched the identical ‘Magpie’ Blue Peter looked doomed. At a time when my own hormones were running riot Magpie’s Susan Stranks’ penchant for going bra-less certainly got my full attention. With married life and a growing family it was a joy to return home from work hearing the catchy little opening ‘Sea Shanty’ tune and to view my own kids sat in front of the box equally enthralled as John Leslie, Anthea Turner and the first black presenter Diane Jordan captured their own young lives. Besides the pets, the crafts and the adventures the Blue Peter Christmas Appeals were always a highlight and no matter what the cause they always reached their targets. Appeals however are never made for cash. Children are always asked to save and donate material items such as stamps, shoes, clothing and aluminium cans which are then sold to raise the money required. Good causes have benefited to the tune of £100 million through the years helping charities such as the Lifeboat Institute and Guide Dogs at home and food, clothing, clean drinking water and even help for the AIDS Foundation in Africa. It all helps to bring home the starvation and homelessness of other children in the Third World, teaches the value of humanity and how fortunate their own lives are. Other highlights were the Christmas Pantomime and viewing the changing seasons in the Blue Peter Garden which was designed by Percy Thrower who was my Dad’s own gardening guru. In fact the majority of the BBC weather forecasts are still made from the garden today. It was always the ambition of every Blue Peter fan to get a ‘Blue Peter Badge’ which were introduced in 1963 and awarded to children who appeared on the show or won one of the numerous competitions. The ‘Gold Badge’ award is an exceptional award and is only given to people, who have shown outstanding bravery and courage, has made an outstanding performance for their country in an international event or for outstanding services. Previous awardees have been The Queen, Simon Weston, Jonny Wilkinson, David Beckham and recently J.K. Rowling who was moved to tears underlining just how high this award is regarded. There have been many sad days with the loss of the Blue Peter pets but none were felt as much as the early death of ex-presenter Caron Keating from breast cancer. 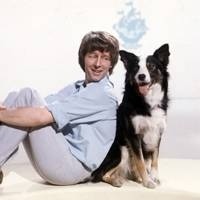 The Show has also suffered in recent years due to telephone voting and political correctness but to its credit in true Blue Peter tradition it has broadcast live apologies that have been sincere in the extreme. Before finishing, quirky mentions should also be given to some of the other presenters such as Sarah Greene whose shoes became an amorous target for George the tortoise and Lesley Jupp who announced that they were raising money for “blind dogs for the guides”. It’s been fun remembering those early programmes recalling halcyon days when children seemed content to have simpler needs. I hope this has tweaked your own past memories of a special programme and made you recall your own trio of presenters.